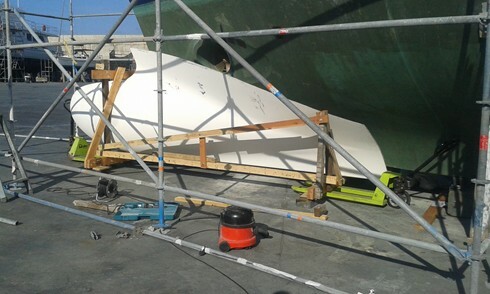 Nordhaven UK contracted the Osmotech team to fly out to Spain and install a new bulbous bow section to a Nordhaven 72. A lot of hard work by Rich and Paul adapting the new moulding and eventually bonding it resulting in a very happy client. All that remains now is to prime and Copper Coat the modified area. 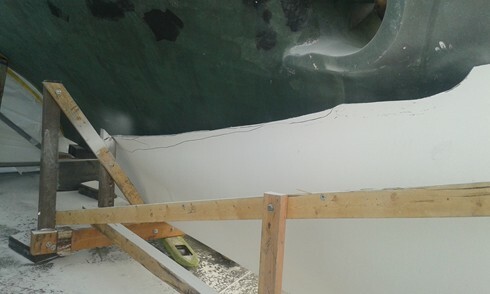 Another example of a job well done by our skilled team.